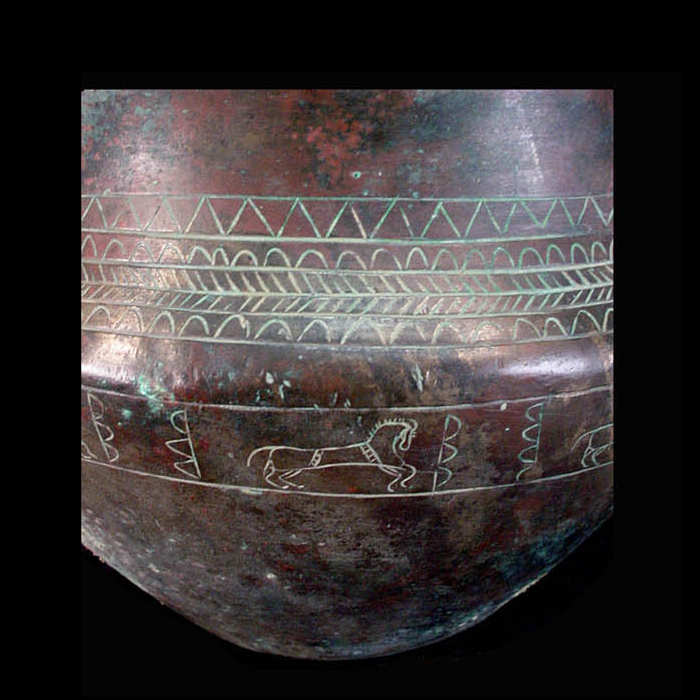 A large and uncommon Indo-Iranian bronze bowl with frieze of horses and zebu-bull in low relief. 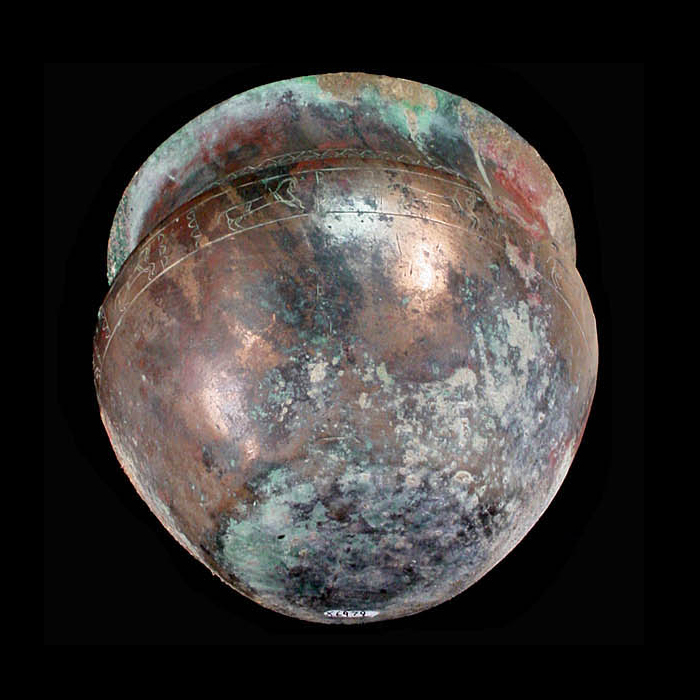 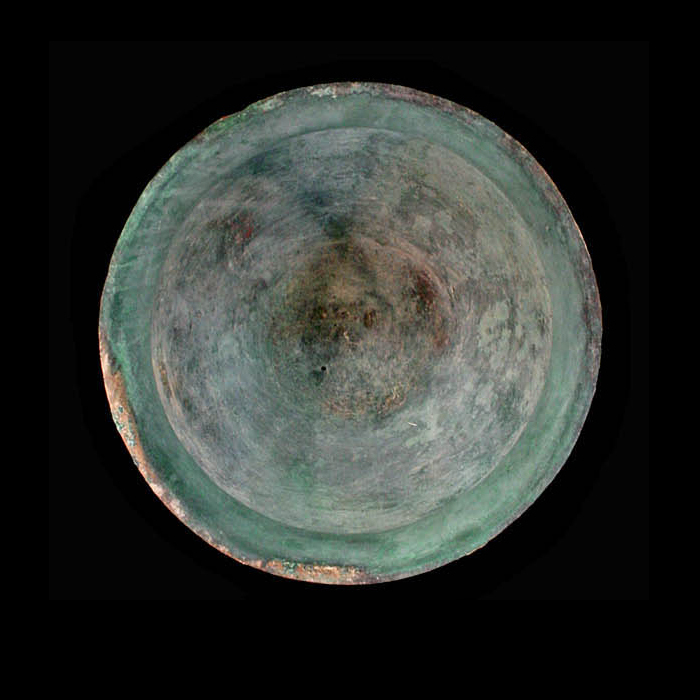 Good condition, the surface polished, with verdigris patina consistent with age. 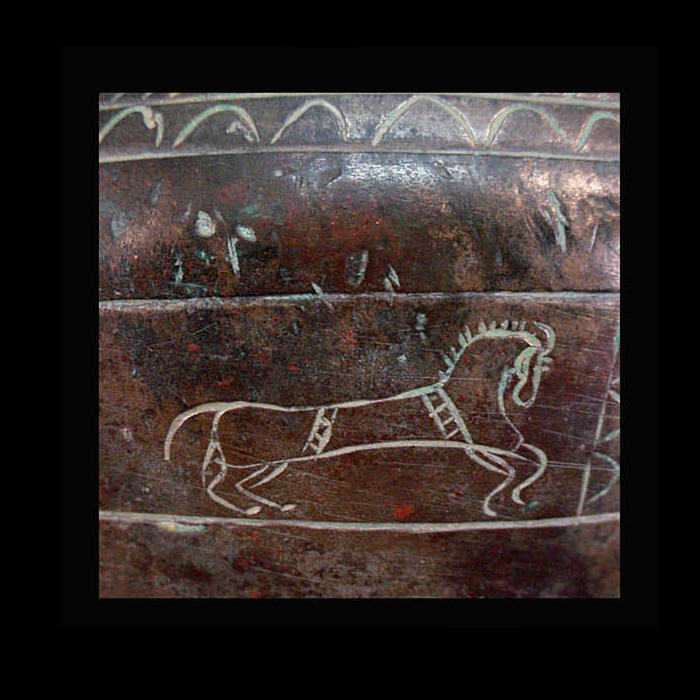 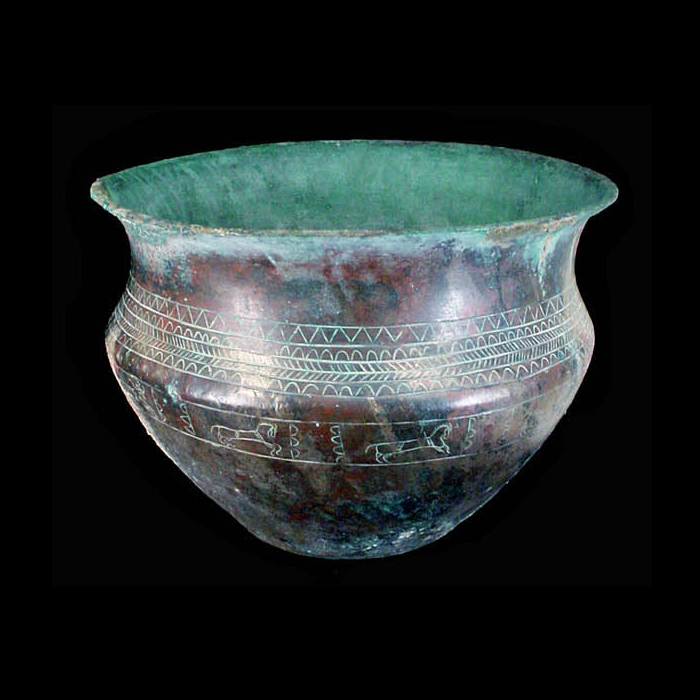 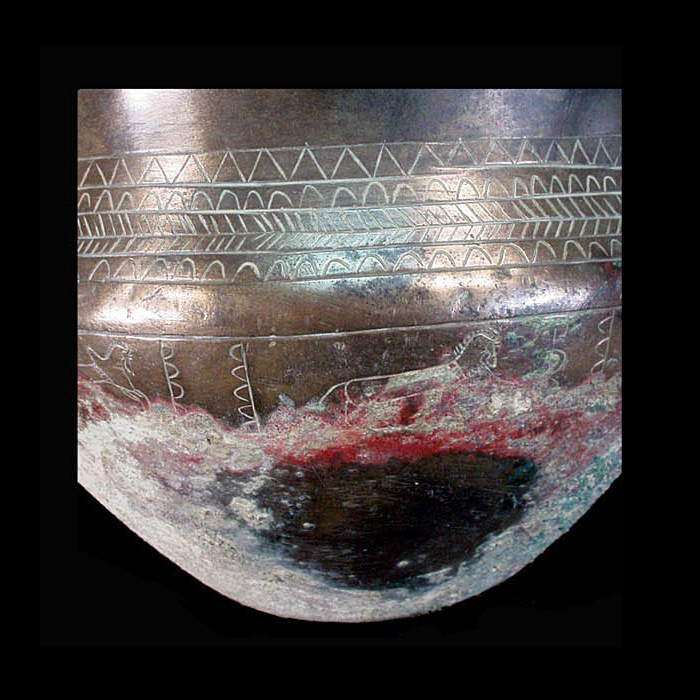 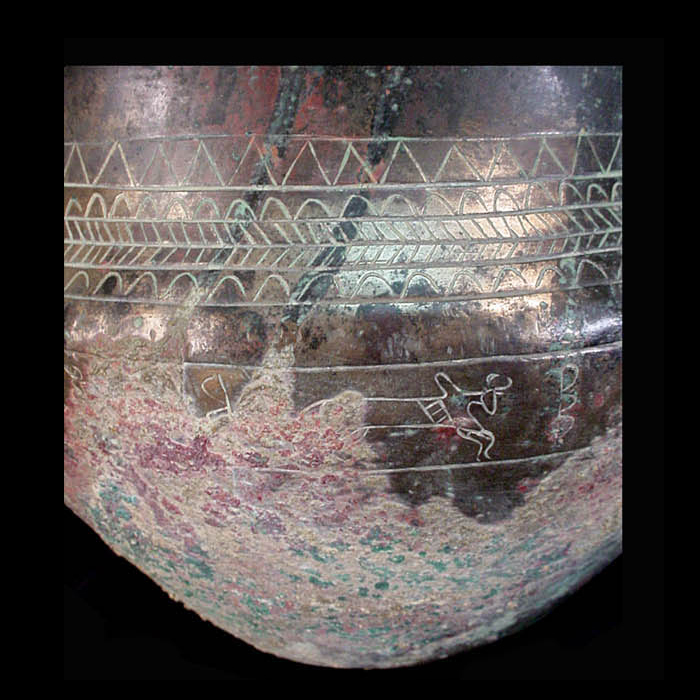 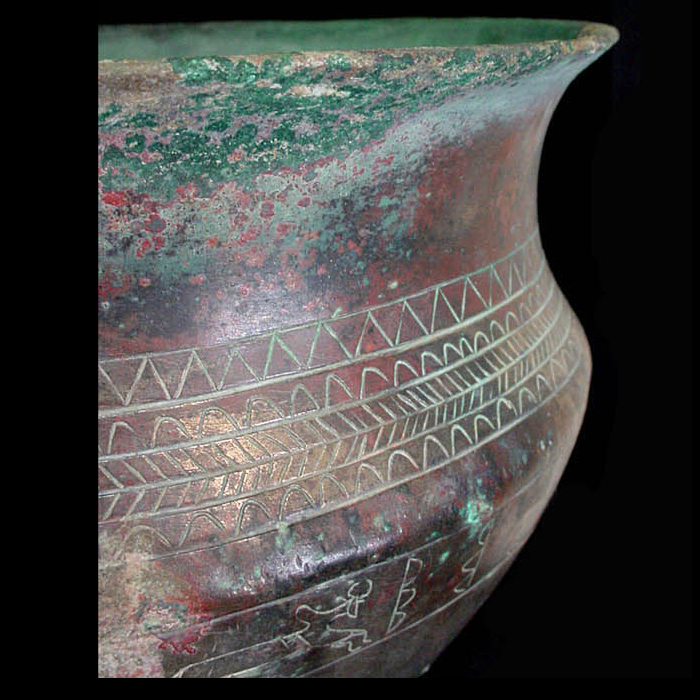 Muscarella, "Bronze and Iron: Ancient Near Eastern Artefacts in the Metropolitan Museum of Art" Pg 261.